Here’s what’s up in the world of TV for Monday, January 23. All times are Eastern. Just kidding: “Finn makes amends at the Candy Hospital while Jake tries to connect with their unexpected houseguest.” Is the “unexpected houseguest” possibly a monkey that’s been known to eat its young? Hopefully Oliver Sava’s review has all the answers. Supergirl (The CW, 8 p.m.): Tonight, Supergirl returns with the episode “Supergirl Lives.” Sorry, the show is obviously saving “Supergirl Returns” for a later date. Roulette (Dichen Lachman) is back, and this time, she’s trafficking humans on a planet called Slaver’s Moon. Clearly, this is a job for Supergirl! Only, Slaver’s Moon has a red sun, “which means Kara and Mon-El are stripped of their powers and stuck on the planet with no way home.” Whoops. Kryptonian problems. 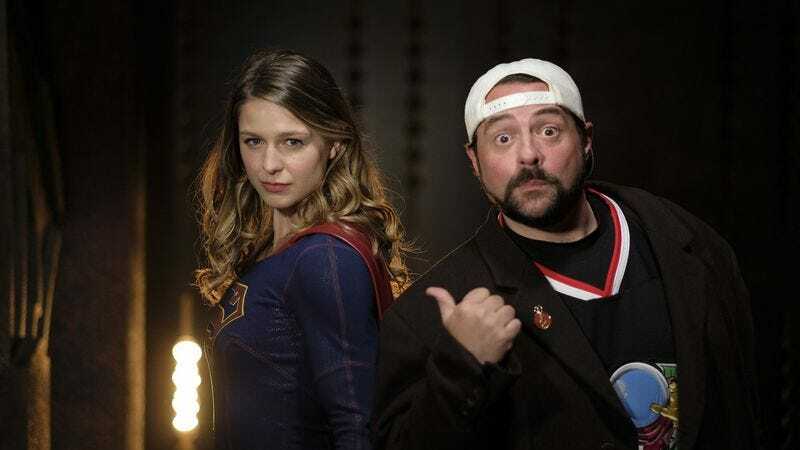 Hopefully Kara and Mon-El figure something out in time for Caroline Siede’s review of the Kevin Smith-directed episode. Murder Calls (Investigation Discovery, 10 p.m.): Investigation Discovery’s Murder Calls makes its time slot premiere tonight with “Down By The River”: “A terrified woman tries to give police clues on a 911 call: there’s a gun, she’s near a river and her children are at risk. When the police find her body in the river, it leads them to a killer who’s been a predator for years.” Maybe not exactly like the Neil Young song, but there’s a killer and a river. Superman Returns (Amazon Video/Google Play/iTunes/Netflix/vudu/YouTube): As far as we know, Superman doesn’t return in this week’s episode of Supergirl, but you can always rectify that in your mind with the “much-maligned” Superman Returns film.